Q: What has your experience been like on Student Government so far? A: My experience has been a very interesting but amazing ride and the reason that I say that is -- before I even got involved in student government, I’m not really the person that is really up front. I’m more of the background, like behind the scenes. Like, don’t bother me we good in the back. But being in Student Government made me realize I was already a leader but it just needed to be developed and that process of being in Student Government made me open my eyes and realize, you know, I can do this and I have the confidence to do this because I have a really great support system. 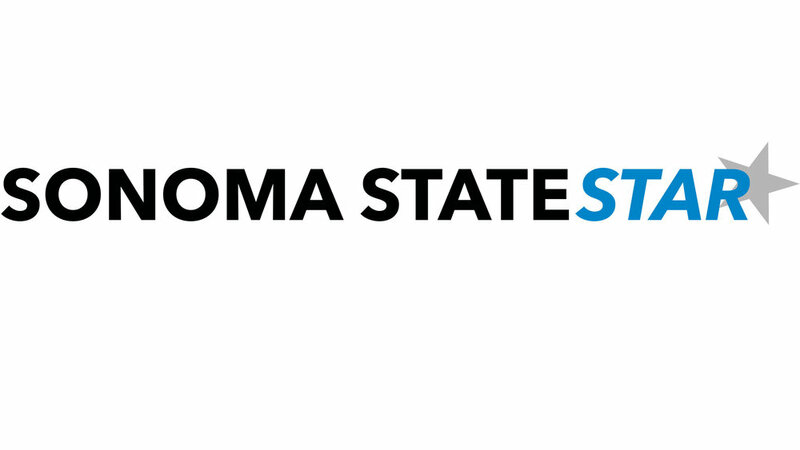 Q: With your experience in Student Government, what would you like to do after your time at Sonoma State? A: What I want to do is -- I definitely will go to graduate school and I will get my Masters degree in marriage and family counseling and... I will get a PhD in counseling as well and I will have a practice as a family and marriage counselor as well as incorporate the sociological terms within my practice. Q: You want to add the suicide hotline number to the back of ID cards, can you tell us a little about that? A: Sometime in January, what I do at my job as undeclared Senator is look up legislation that peeks our interest and that is one of the things that was really interesting to me. As a personal three-time suicide survivor myself, I understand what [it] is like to try to put on the perfect image of a mask when you know you don’t have it together... Even though we have amazing services here, it sometimes just doesn’t work for people. One of the things I really want to work on is -- you don’t have to have your business out there, people don’t have to know you’re depressed and suicidal and all that but it is just a little reminder on the back of student ID cards that there is a support system for you. Q: Apart from mental health what are other big issues you see on campus right now? A: Definitely housing, that has been a really big issue and I’m struggling myself with housing. Food, security and just overall being a student here. Balancing, maintaining, keeping good GPA but as well you got this and that going on like jobs. A: In highschool, I wasn’t really in AS but I was in linked-crew and that was kind of related to AS because we put together some events and also welcomed freshman and talked to them and I only had one person ask me, “Hey, do you know where this class is,” and it felt good. It’s just basic little things. For my time here in college, I haven’t been involved yet and that’s a reason I want to get involved and try something. I know it’s something you should know but I didn’t even know we had an AS. Q: What would you hope to accomplish as president? A: If I were AS President, I want to get myself more involved in with clubs and meetings and from there get the clubs more involved with AS so they can join meetings and hearings. I know there are over 200 clubs on campus and I’m not sure if I can convince AS to sit at club meetings, but that’s what I want to do. I want to be more involved with students and be able to get their voices heard and make people feel involved. My goal is to increase student involvement. Q: What do you think the biggest problems students on campus are facing? A: The biggest thing I can think of is diversity... There’s also an issue with the options students have. Yes, diversity is an issue but if you have the resources you need you can feel right at home. I feel like students not connecting and being fully aware of the resources they have so they’re not being utilized. I had a friend that dropped out because she didn’t feel at home. I know it’s only one person but one person doesn’t mean others don’t feel that way. I just like everyone feeling like they belong and they are accounted for. Q: Could you talk more about your ideas about the Lobos Pantry? A: I started going to Lobos Pantry this semester and before I never really knew about it. Before, I would cash out my entire paycheck at the grocery store. It was rough. I was talking to director there and apparently they get their food donated from Safeway and Raley’s. They only have canned food, like non-perishables, and I think it would be a good idea to get food in there like fruit and things that are good and healthy for people.